this my 3rd time at Kai Garden 嘉苑. the most recent time was also an early birthday dinner for my wife on 8.11.2016. Kai Garden 嘉苑 is opened about 1 year 4 months now, a team that hailed from taste paradise. it’s actually quite a large place. quite good traffic this evening. 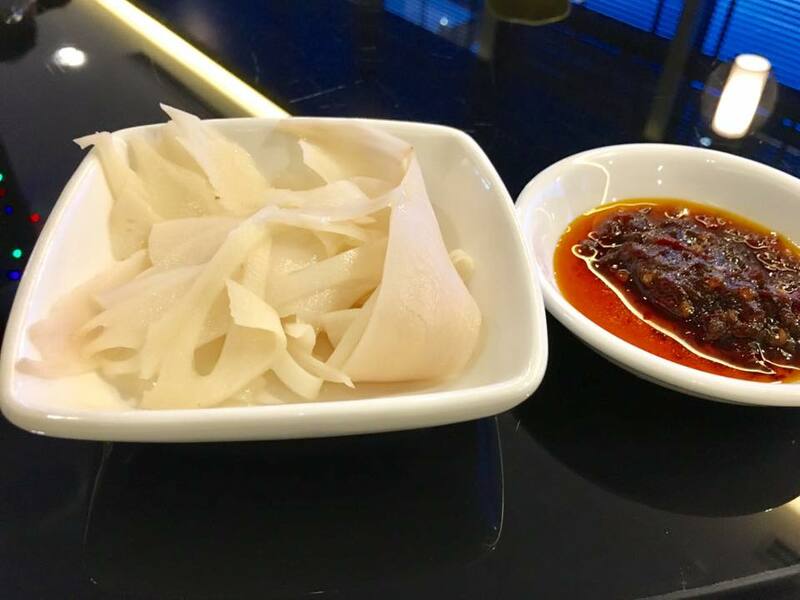 there was pickled lotus root appetizer, very thinly cut like ginger, quite sour, quite nice appetizer. it is free with the tea. 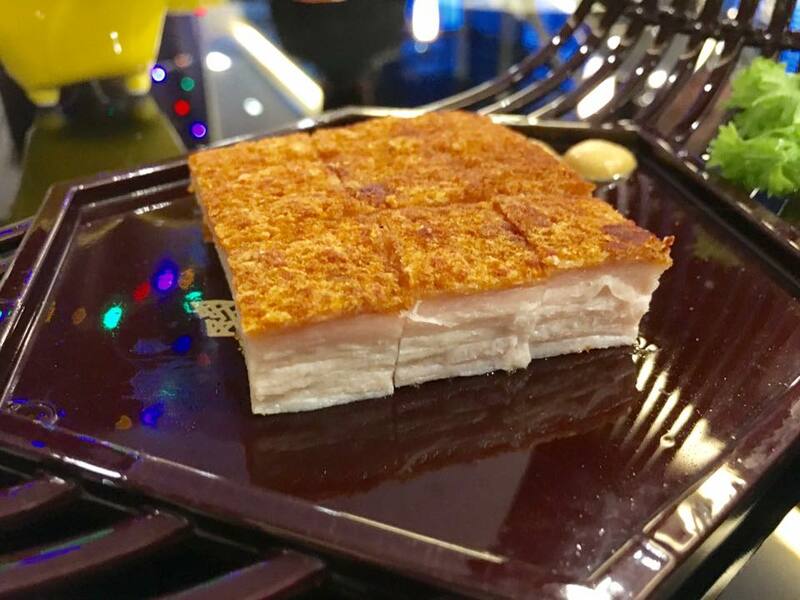 wife ordered a 黄金桂 S$3.20pax. after i ordered the dishes, the captain/head waiter advised that still missing S$12 to reach S$300 minimum spend (tea not included). so i added a roast pork. 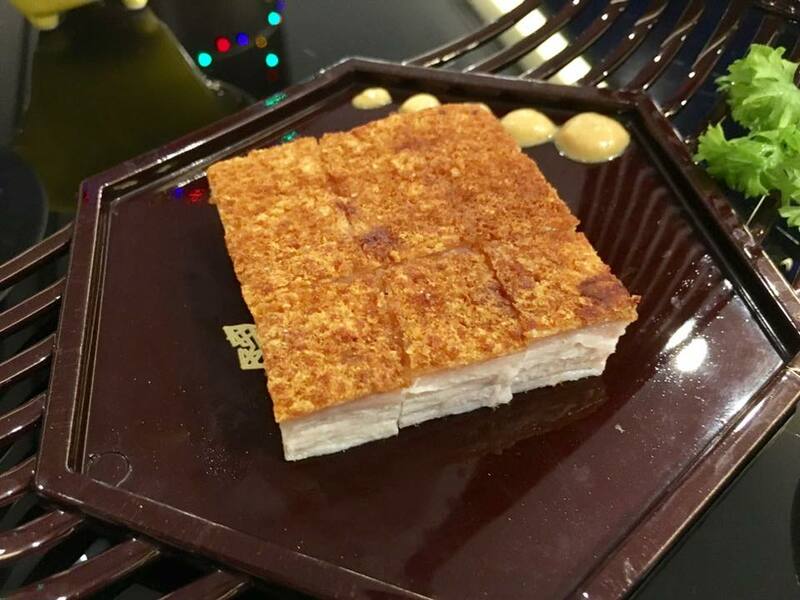 the roast pork was very good, though as i said before no better than crystal jade or imperial treasure. it was very tiny, yes real tiny, helping. i didn’t really mind it but for a better deal, probably will order the wasabi prawns S$28 next time. 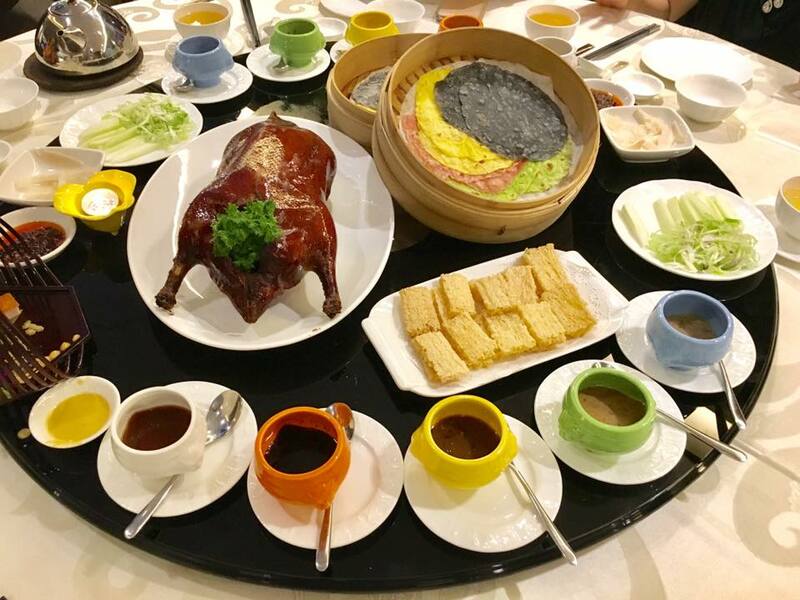 the 5 coloured peking duck was impressive as always, i think the best peking duck i had. 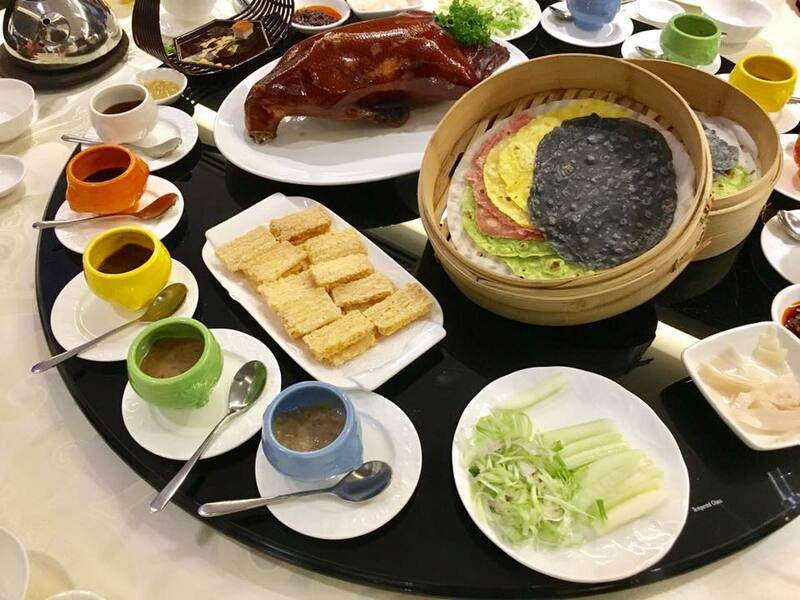 peking duck skin was quite perfect, the crisp item was very good too, and the overall experience quite perfect. 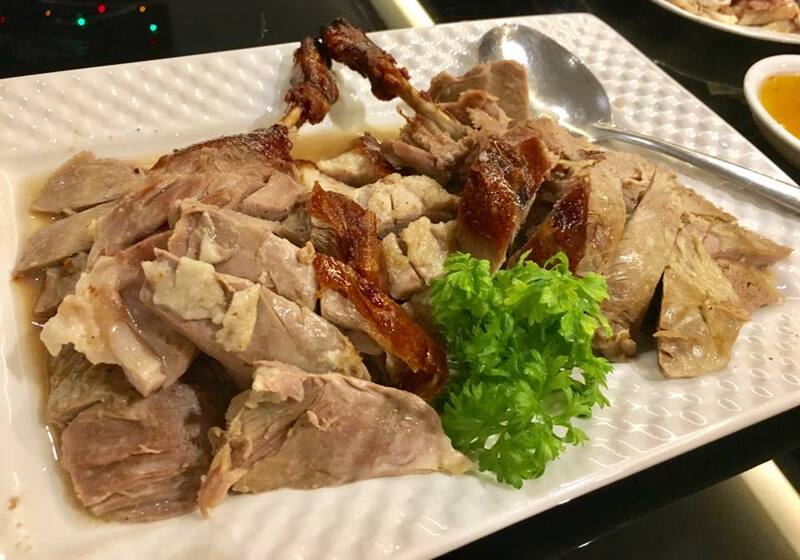 there is an additional cost of S$28 for the second eat, so i just got them to serve the duck meat. it was good & tasty actually. i took a few with the duck sauce & the plum sauce. 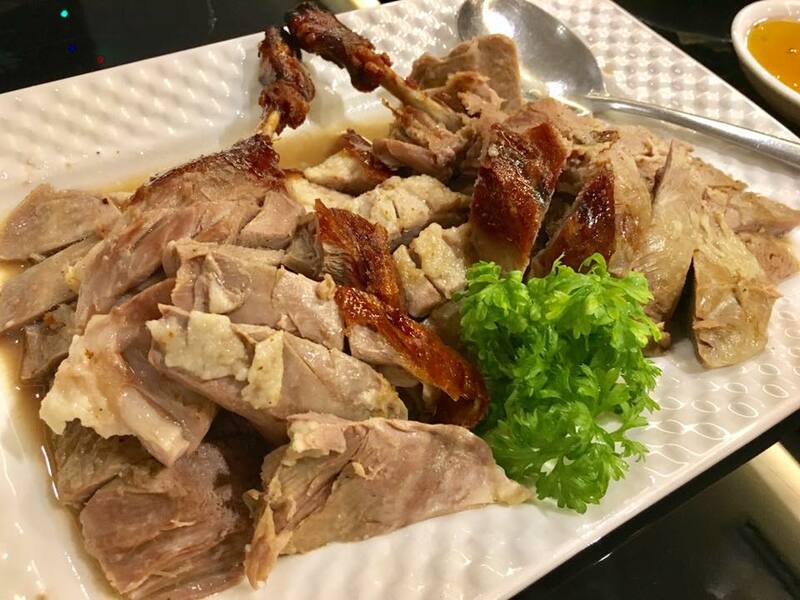 it’s like a good roast duck, however without the skin, the experience a bit downgraded. wife decided to try a whole pot of soup. we ordered the fish soup. it was very good. as my friend’s wife commented, not fishy at all. it was very smooth, clear & sweet. a very nice soup. 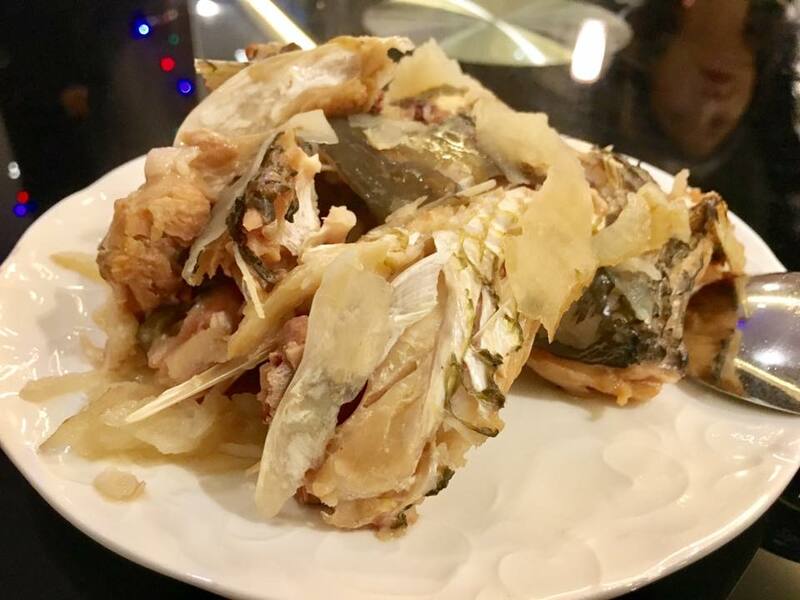 the stock ingredients supposed to be 青衣 green wrasse fish head & 天麻. 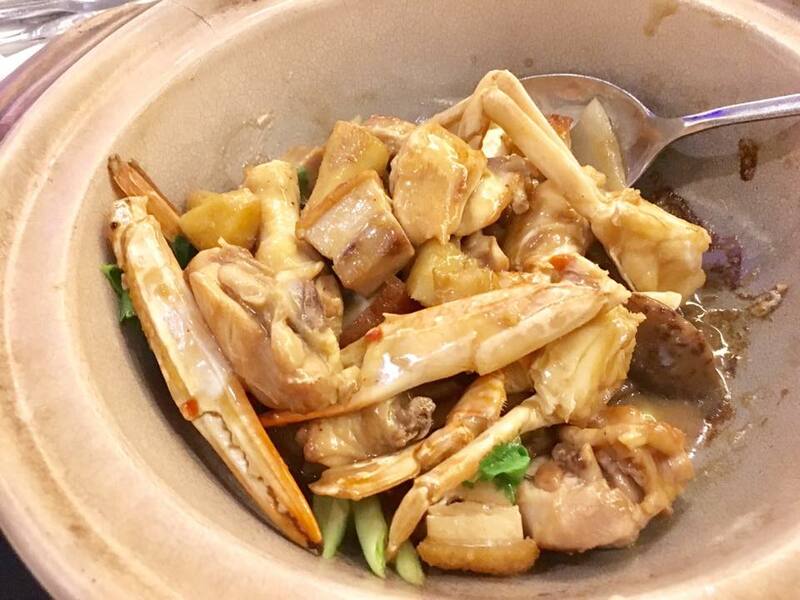 i ordered one of the family favourites on their website, a flower crab dish with 1/2土鸡 kampong chicken?? 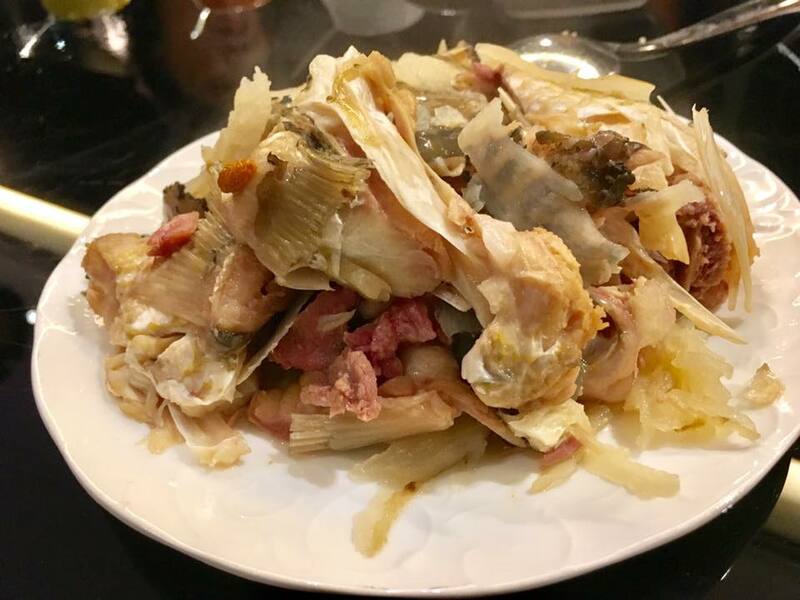 it was done in a claypot with good amount of roast pork. 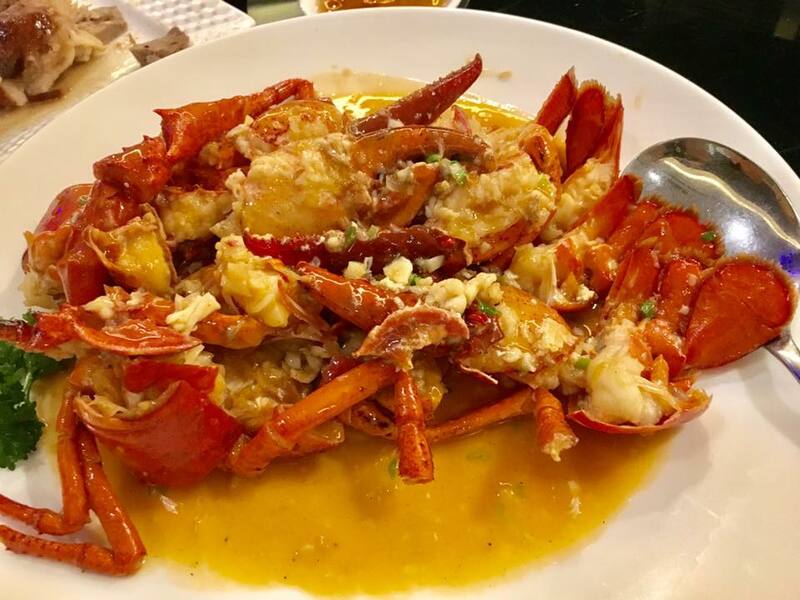 the flower crab was very sweet. chicken was tender, moist & tasty & of course the roast pork & the sauce as well. 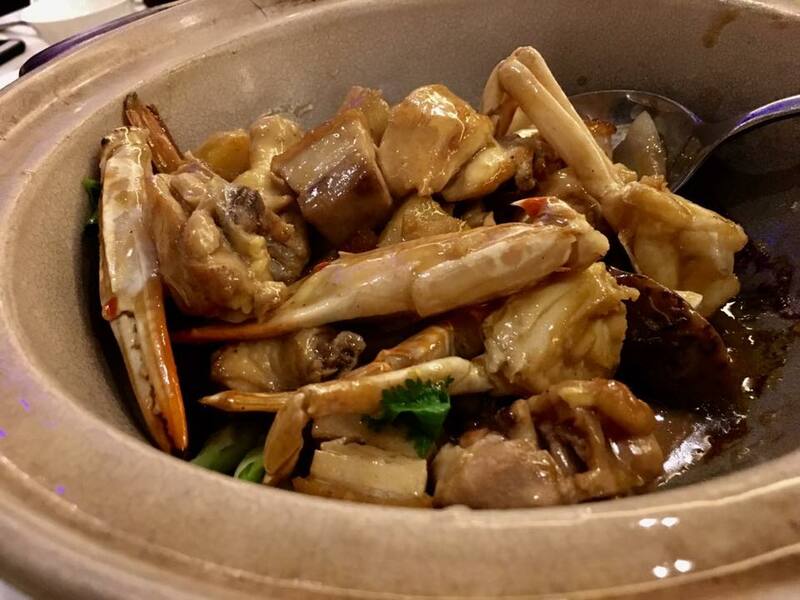 for me this was quite an excellent dish, though i had never taken flower crab with chicken at other restaurants. wife liked the garoupa fillet. menu price was S$38, but we were asked to order 1.5 portions. i was ok with that. 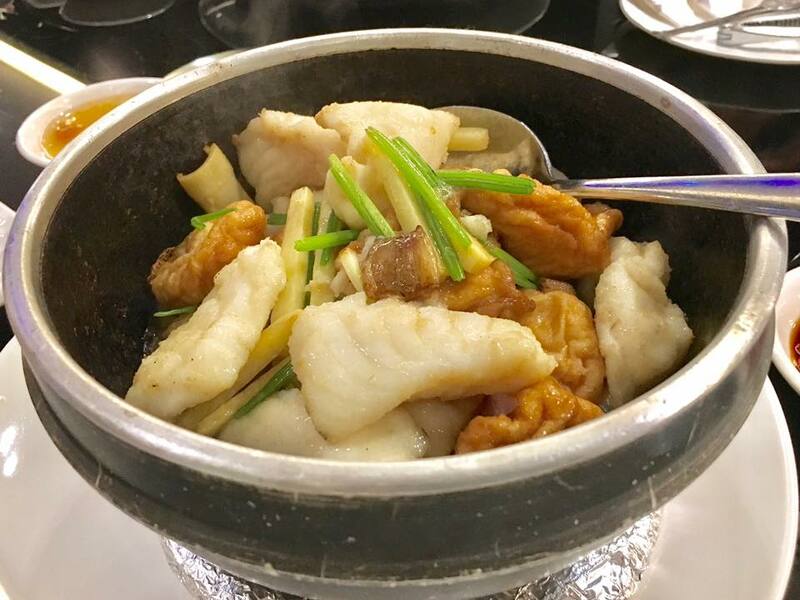 the fish fillet were fresh & tasty, nice gluten & also bamboo shoot, and again the cooking made the difference, whatever the ingredients it was a great tasting dish! the 2 lobsters were quite impressive. 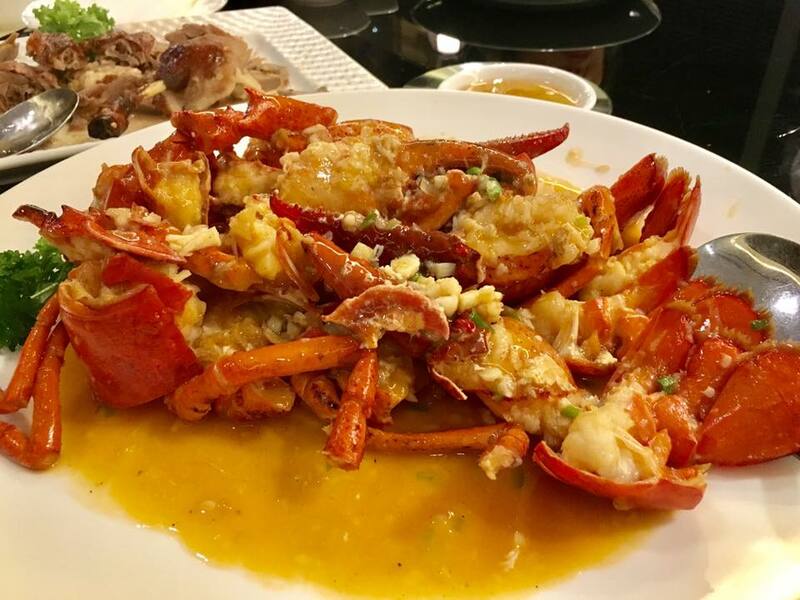 seems that the complimentary one lobster & S$48 second lobster only one way of preparation, braised with superior sauce, 上汤焗, my favourite style anyway! lobster was fresh, tender, & very tasty with the sauce. these were full size 600g lobsters, so 2 for 6pax was quite a good serving. i got to enjoy this a lot. we all did. 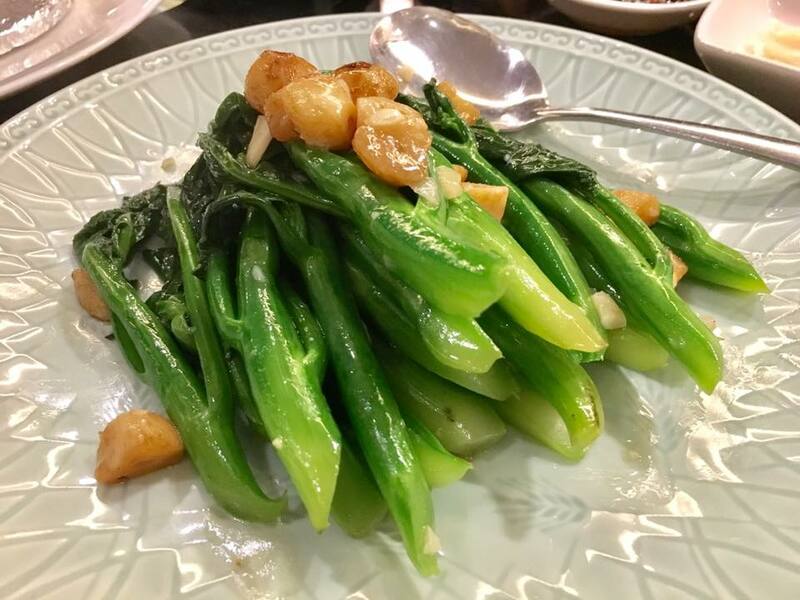 kailan was S$18 on the menu, again had to order 1.5portions. wife thought it was a bit “siap” – astringent?? it was ok for me, a competent dish, nothing special. maybe will try a different veg or just order the kurobuta which comes with some nice veg. i told the restaurant that it was a birthday. 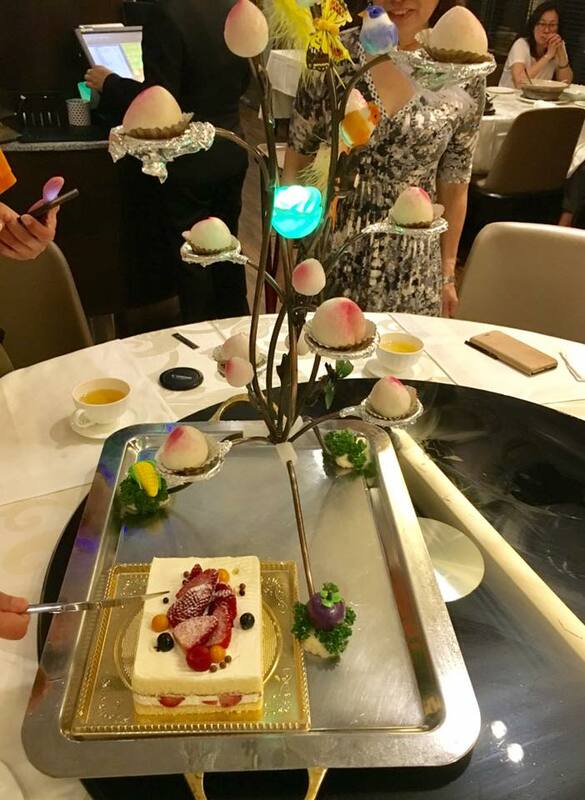 they prepared a quite elaborate longevity buns tree display & some more uncommon birthday song. 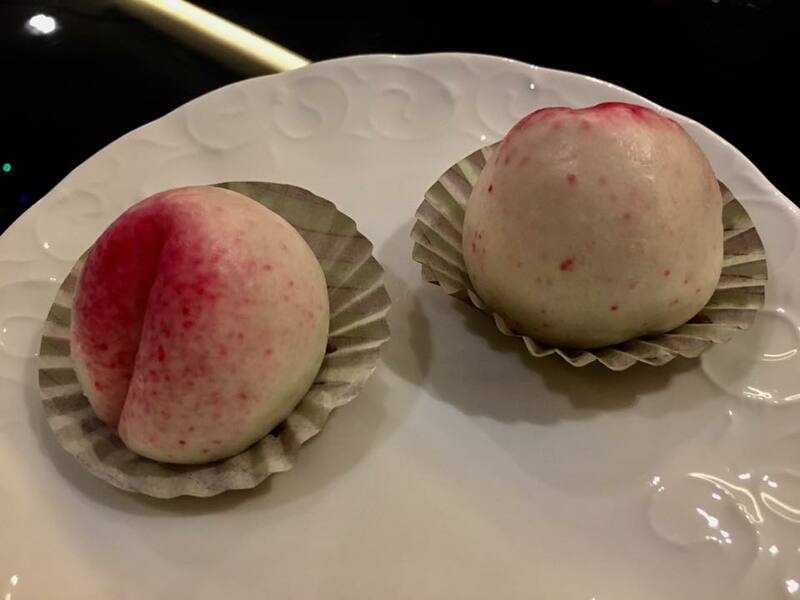 longevity buns were pretty good. i like them. 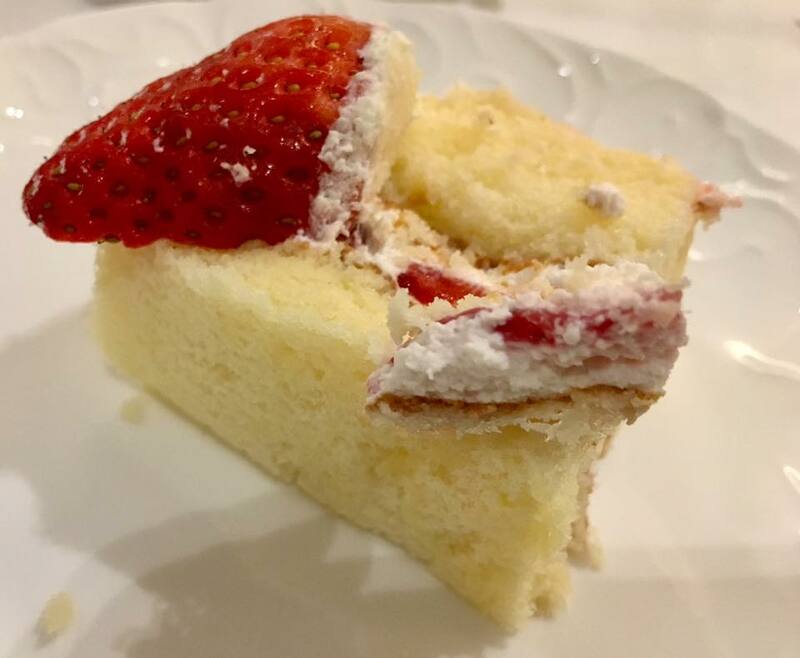 my friend had 2.
another friend brought a flor patissiere cake, a nice light japanese style cake. always like flor cakes. service was efficient, generally attentive & very pleasant. dinner for 6pax was S$435nett. quite happy with food, service & the birthday set up & singing by the staff. we had a great evening together. this friend very busy, still is, so only in recent years (2015) i started doing birthdays for him.